“BIG FISH! 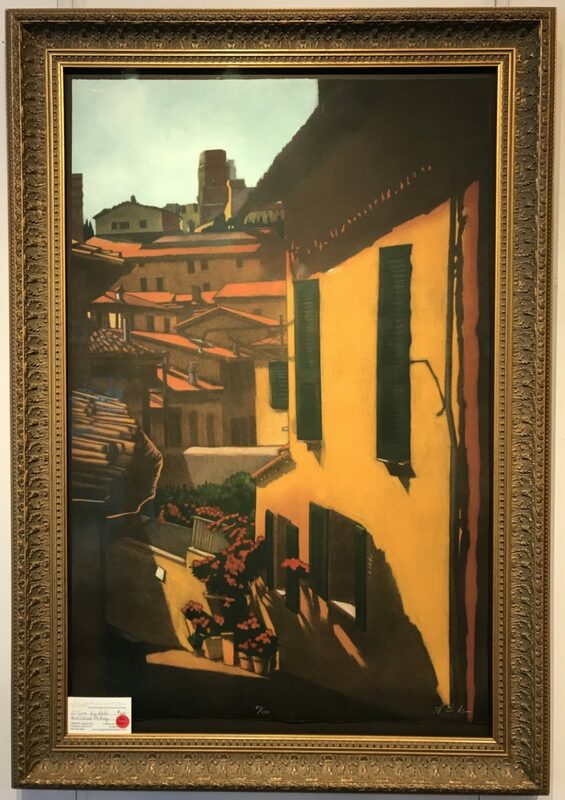 !” I was standing outside the gallery on Wednesday admiring (she says with a bit of sarcasm) all the available parking in the Village – seriously, Tuesday and Wednesday after the lunch rush there are almost a dozen parking spaces available. “BIG FISH! 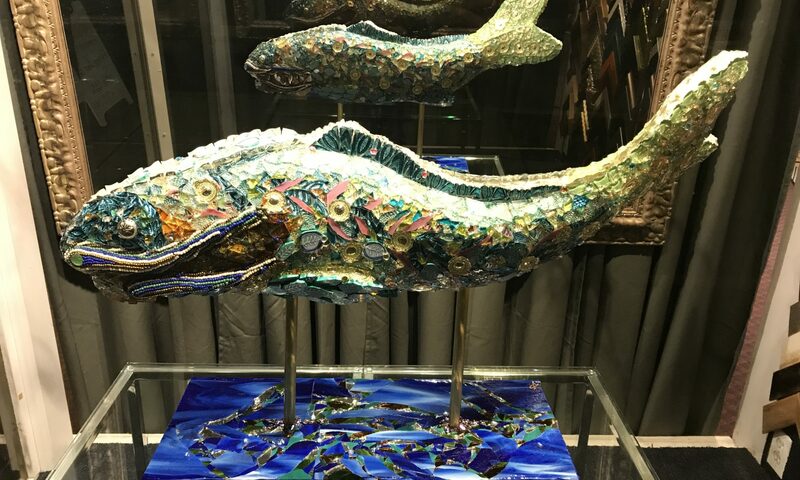 !” A boy of three-ish years shouted to his mom as they passed, he was jumping and pointing to the mosaic fish in our small display window. Big fish, indeed. I thought about the movie Big Fish, on my mind because Albert Finney recently passed away. It’s a movie full of love, about a man with big stories and a bigger life. A big fish in a small pond. 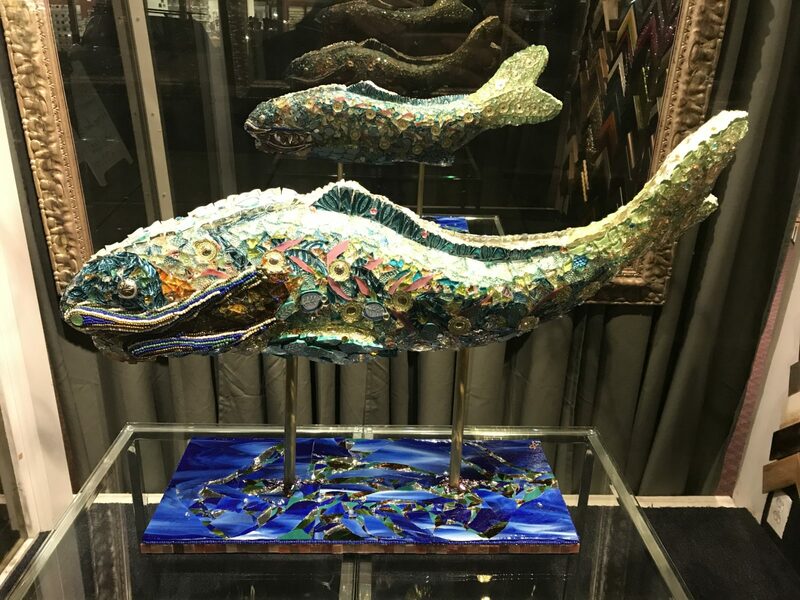 Kind of like our big fish, Blue Bijou by Denise Sirchie. Blue Bijou measures almost 40 inches across from whisker to tail, painstakingly pieced together from broken china and glass, metal buttons and glass beads. Much too big for our little “aquarium” out front! 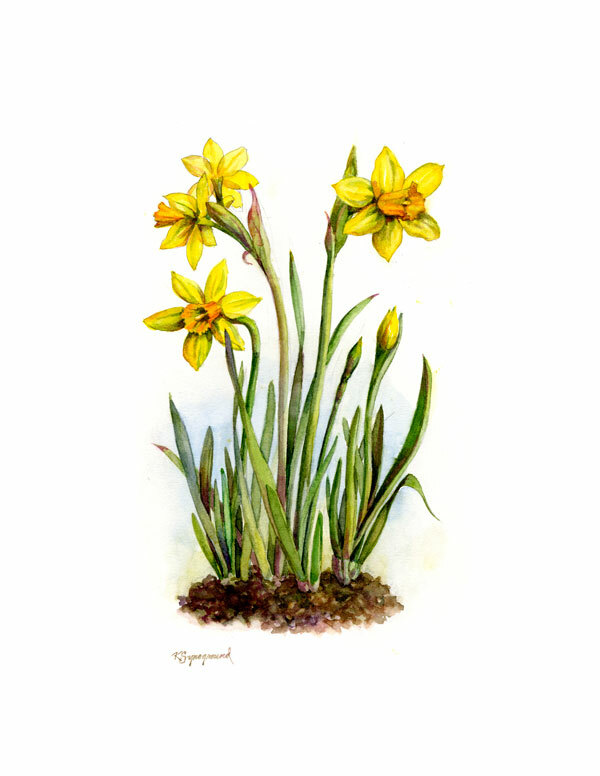 You may remember some of Denise Sirchies other work in our gallery. Recently Scarlett graced our holiday window display posing as the Ice Queen in our Winter Wonderland. Denise is busy now creating mosaic flower pots, just in time for spring. We look forward to celebrating spring with her new work. Watch our windows in April and May! I’m not kidding when I say I’ve seen a dozen parking spaces available on recent weekdays. Parking can be more than a challenge in the Village, but empty parking spaces are an even bigger problem. Empty parking spaces mean your local businesses could be suffering. We all want to stay indoors during cold and rainy weather, but we also want our local businesses to be here when the temperate weather returns. 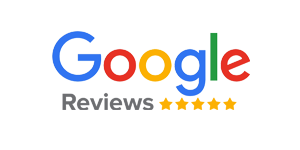 So I challenge you, don’t put off your errands in the Village – visit the new cleaners, try the new restaurants and bakery, stop in at your favorite older businesses and check out the French Quarter. And don’t forget First Friday! Your local businesses work hard and stay open late to provide interesting art, entertainment and experiences. Whatever you do, think Local first. 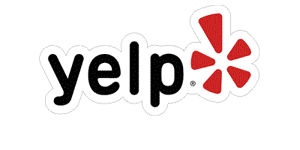 Don’t default to the internet for gifts and services you can get right here in your Village! Big Fish Deals on Now! 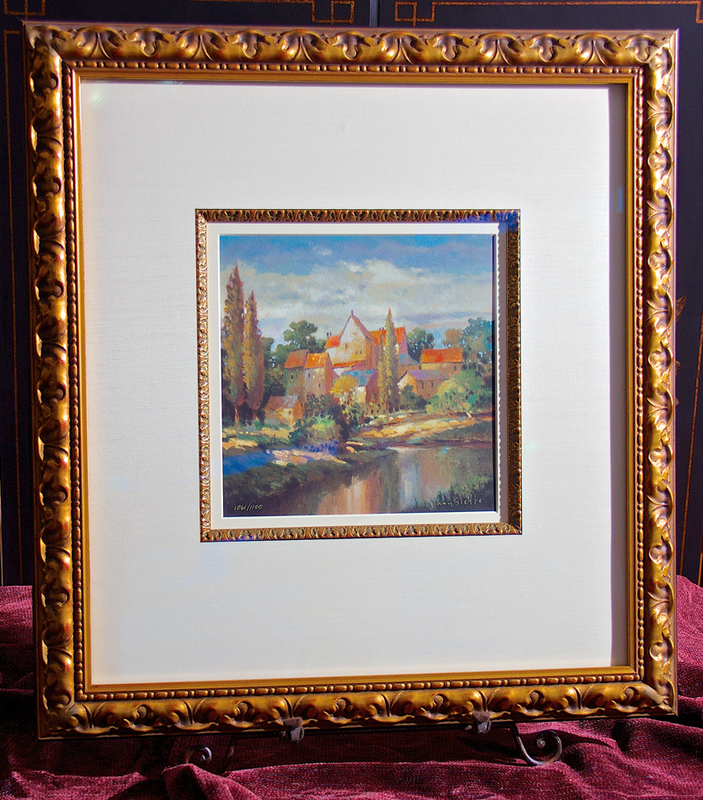 To entice you to bring in those framing projects, Village Frame and Gallery is offering Big Fish deals right now. 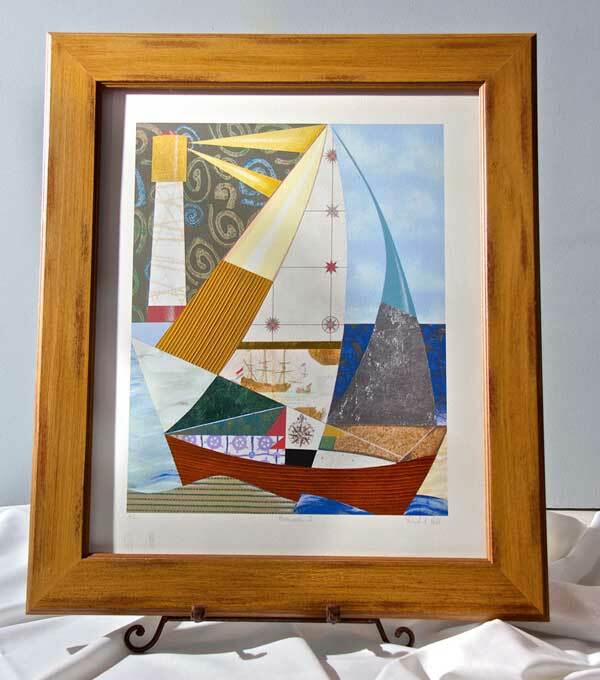 Bring in that older piece you’ve been meaning to reframe or that memory from a recent vacation. Mention BIG FISH for ten percent off custom framing! With framing solutions for almost every budget, our experienced designers can bring your vision to life! 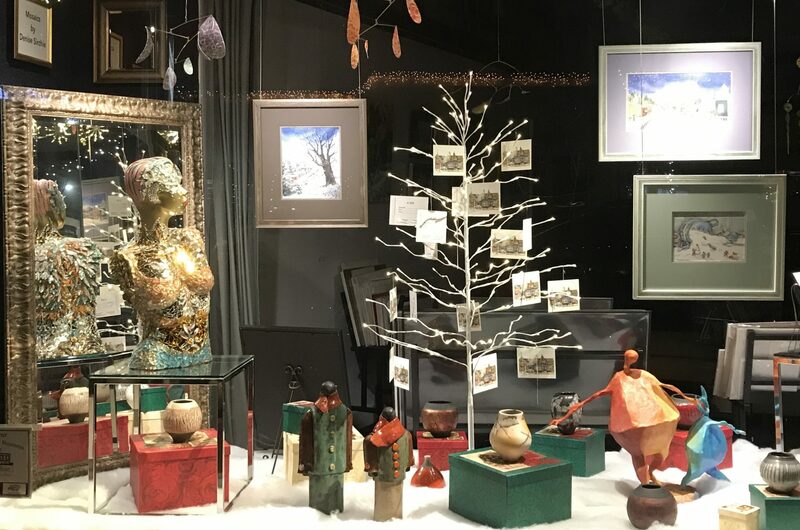 Providing fine art and custom framing in Multnomah Village for almost 20 years, Village Frame and Gallery is open Tuesday through Saturday, 10 am to 6 pm at 7808 SW Capitol Hwy, Portland, OR 97219. Winter Framing Coupon and Incredible Fine Art Specials! 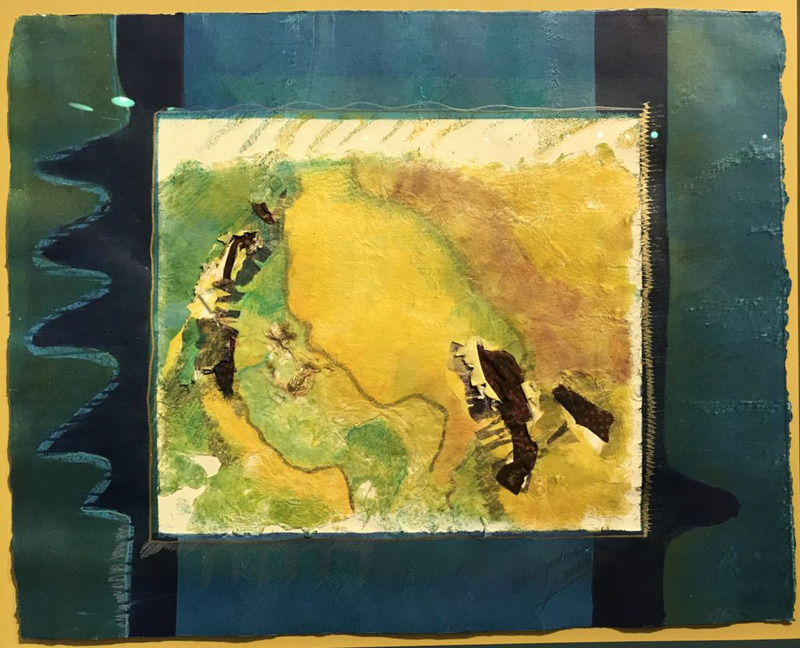 Martha Pfanschmidt’s work is found in local, national and international collections and two of her encaustic works are on sale now at Village Frame and Gallery. 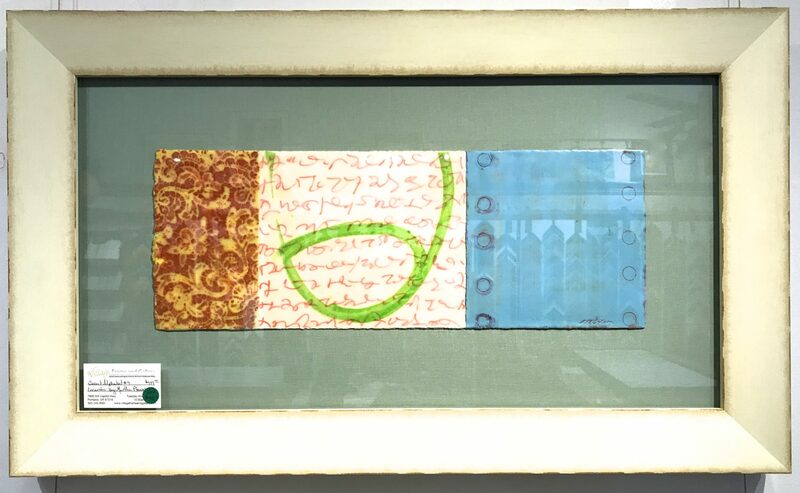 Secret Alphabet #2 and #9 are float mounted and beautifully framed using TruVue Conservation Clear 99% UV protective glazing. Measuring 34 1/2 inches wide by 20 1/2 inches tall, both pieces are offered at $700, more than 25 percent of regular price! 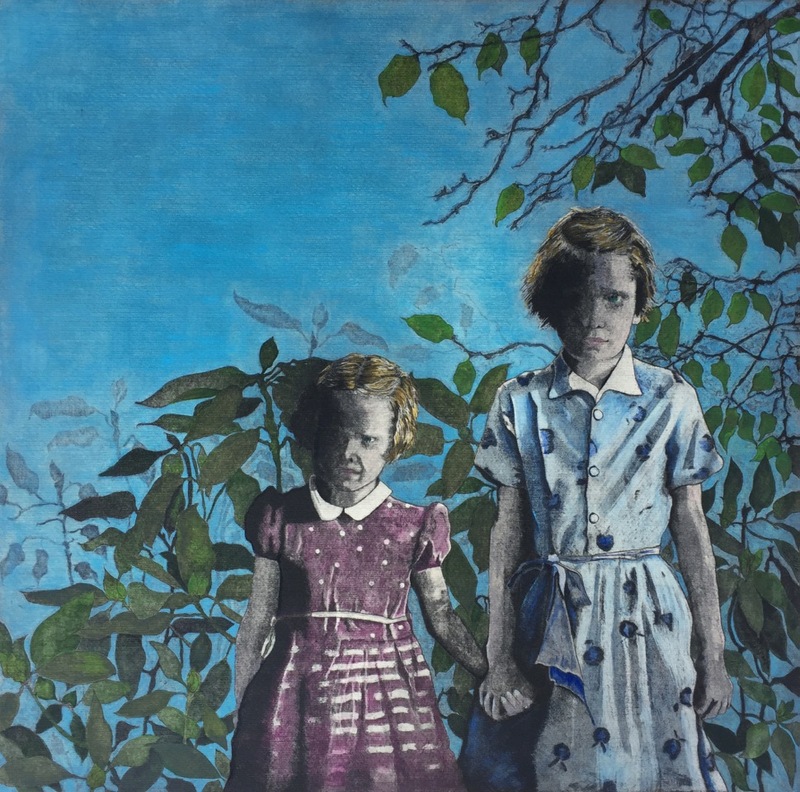 An award-winning watercolorist, Koch tries to evoke a place of familiarity or belonging—a feeling of “being home.” Painting began as a childhood passion for Susan. As far back as she can remember she was intrigued with drawing what she saw. She always knew painting was what she would do with her life and was determined to go to art school. She studied watercolor at the American Academy of Art in Chicago under the late Irving Shapiro, one of the great watercolor artists of our time. 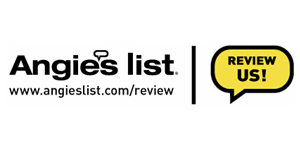 Right out of art school, she found a job as a professional artist—doing graphic design for Yellow Pages ads. With the exception of a few years after her second daughter was born, Susan has been painting all her adult life. “I have to do it,” she says. “It’s too much a part of me. I’ll never retire because I’ll always be painting. Since then, she has won many awards, including “Best of Show” and “Peoples’ Choice” several years running in the Watercolor Society of Oregon annual shows. 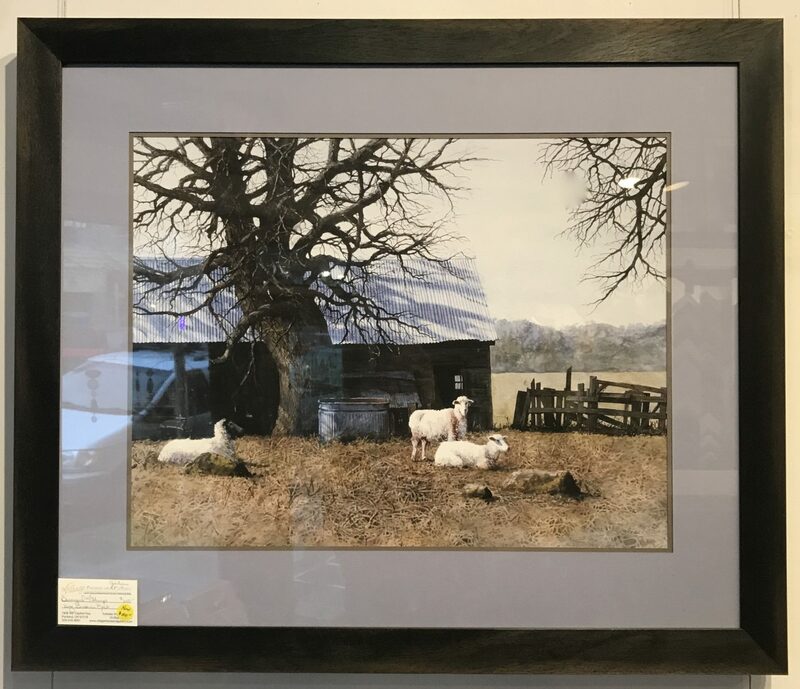 Barnyard with Sheep and Farmhouse on the hill are extraordinary examples of Susan’s intense, almost photographic watercolor renderings. These signed and numbered limited edition prints are conservation framed with TruVue Conservation Clear glazing. Measuring 33 1/2 inches wide by 28 1/2 inches tall, the framed prints are offered at $510, more than 20 percent off regular price! 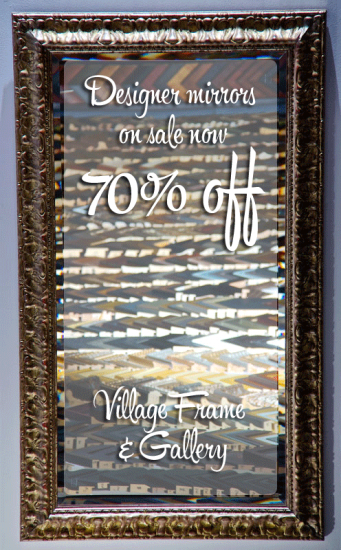 Village Frame and Gallery has these and many other beautiful pieces on sale now at 20% to 70% off regular prices. 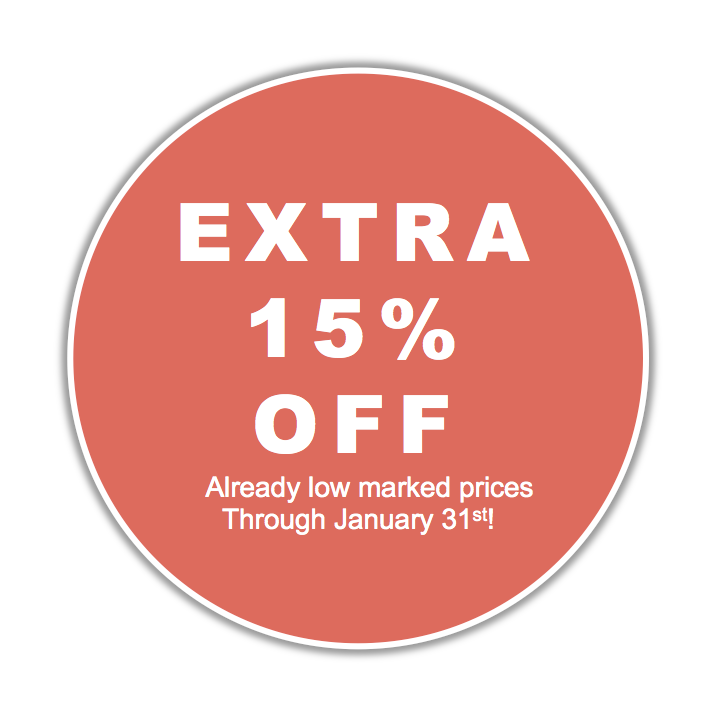 The sale runs through the month of January, but stop in soon for the best selection! Staring at the walls waiting for the rain to stop? Grab those items you’ve been meaning to get framed and bring them to Village Frame & Gallery for 10% off all new custom framing orders. Don’t wait, this coupon is only good January 23rd – February 2nd. Sonata and Hill Town on Sale Now! Master of poetic juxtaposition of classic and contemporary styles, Gholam Yunessi powerfully blends sensitive tonality with vibrant color to create art that transcends visual aesthetics. His creations stir subtle emotions that take residence in our unconscious. This talent has been molded through years of dedication to the master of his native Tehran – starting with one of Persia’s most famous sculptors, his uncle. At the age of five, this uncle nurtured, shaped, and chiseled the foundation of Gholam’s creativity.The development continued through high school, under the guidance of the renowned Persian artist, Shaness – Yunessi’s teacher of drawing and charcoal rendering. Next he studied the history and the techniques of the fine art of painting at the Tehran College of Fine Art. Yunessi also frequently traveled to Europe to gain a personal understanding for the masters and the styles that characterized European art. As a result of this exposure he was able to move beyond the familiar and create a truly personal style that is born of passion not custom. Finally, with this rich balance of the near-eastern and European influences, he moved to America, where he now lives and where he continues to create and produce work that is recognized and exhibited around the world. 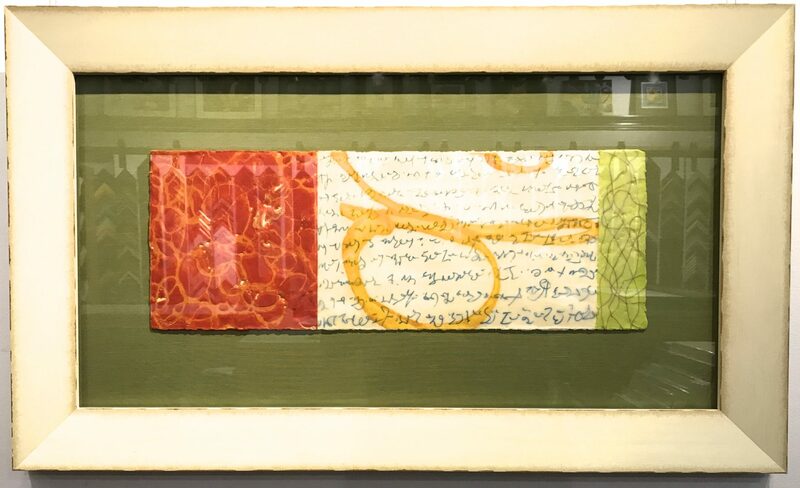 Since 1972, Gholam Yunessi has been exhibiting his art in galleries around the world. The wide variety of cultures that have played backdrop to his development is clearly evident in the stylistic and expressive weave of his unique work. Sonata, measuring 33 inches wide by 45 inches tall, is an excellent example of Yunessi’s work. A limited edition embellished giclee (number 98 of 175) is archivally framed with Conservation Clear glazing and is offered at $570 – 50 percent off retail! 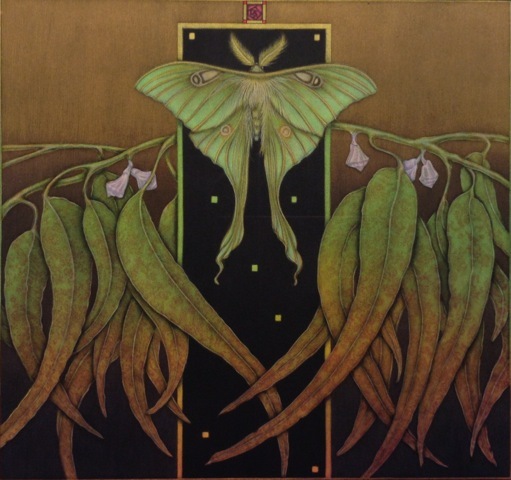 Anne Belov has been painting and drawing for more than 25 years. She received her BFA from Philadelphia College of Art (now University of the Arts) in Philadelphia, PA and her MFA from the University of Washington. 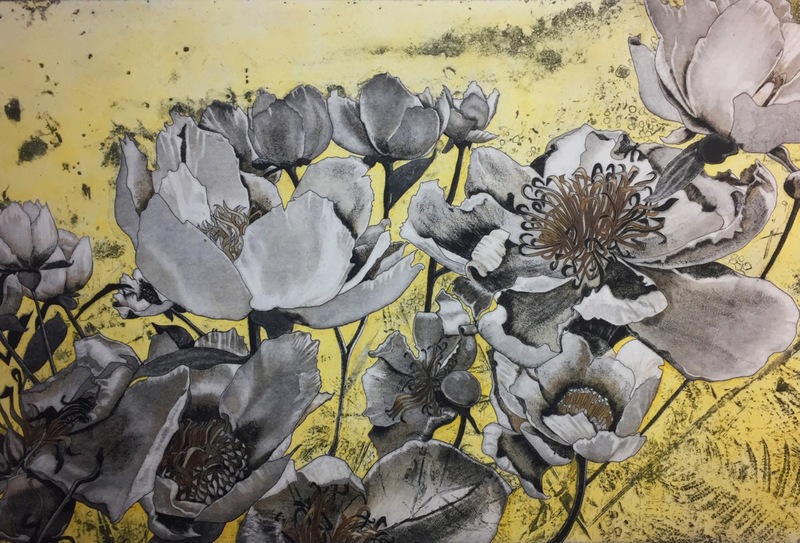 Her work is in many collections and has been exhibited in Alaska, California, Massachusetts, New Jersey, Oregon, Pennsylvania, Washington D.C. and Washington State. Her work has been featured in “American Artist Magazine” in 1988, 1990, 1993 and 1995. Anne Belov states, “My objective is to create a sense of place and time through light, color, composition, and relationships between objects. My work contains both still life and landscape images, sometimes in the same painting. 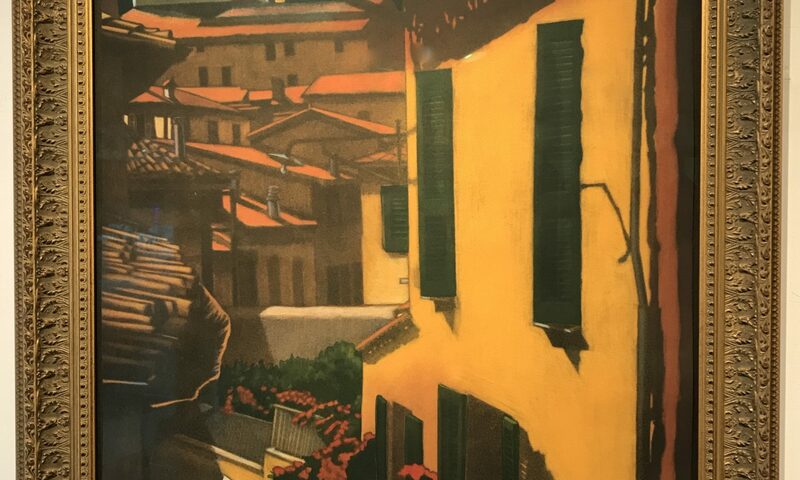 Hill Town, measuring 30 inches wide by 43 inches tall, is a rich, textural look at an Italian hill town. 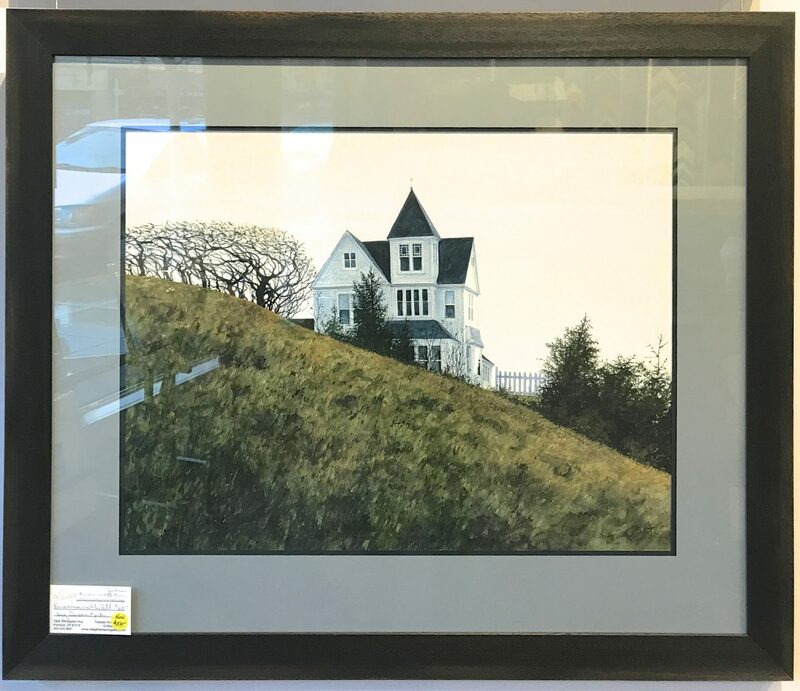 A limited edition hand-colored etching (number 43 of 250) is archivally framed with Museum glass and is offered at $600 – 50 percent off retail! The gallery is free and open to the public, Tuesday – Saturday 10 am to 6 pm at 7808 SW Capitol Hwy, Portland, OR 97219. Artwork by Richard Hall, Now on Sale! Richard Hall is the kind of artist who refuses to fit into a category. 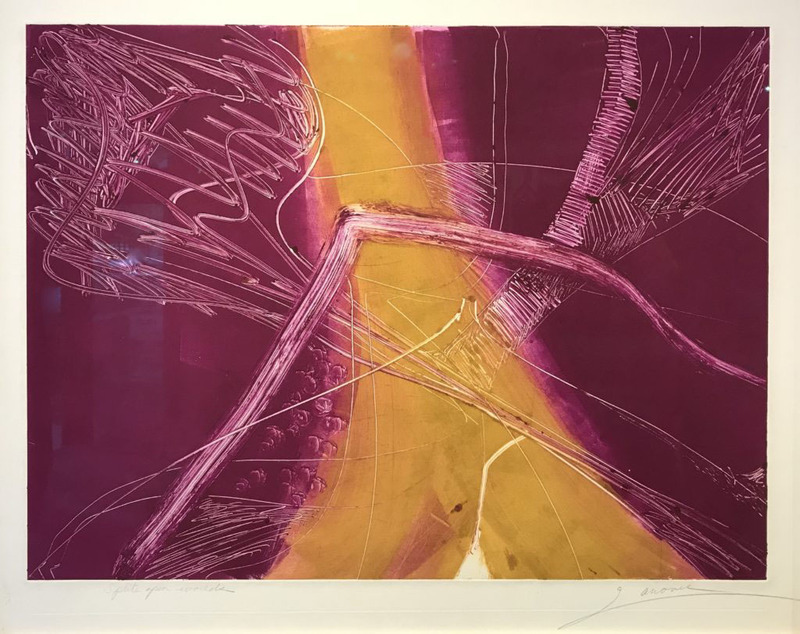 He works not only in the media of serigraphy, monoprint, and etching, but he creates large wall reliefs and freestanding steel sculptures as well, and he paints in acrylics and in other media on large canvases. Some of his works display remarkable depth and antiquity, others possess a style both romantic and timeless, and still others are minimalist and ethereal. The single quality common to all of his works is that they are universally and enthusiastically sought. Read more about Richard Hall here. During our annual framed artwork sale, Village Frame and Gallery is pleased to present four works by Richard Hall at truly amazing prices. Horizon I and II, measuring 25 wide x 29 1/4 high, custom framed with Museum glass, are offered at $300 each. 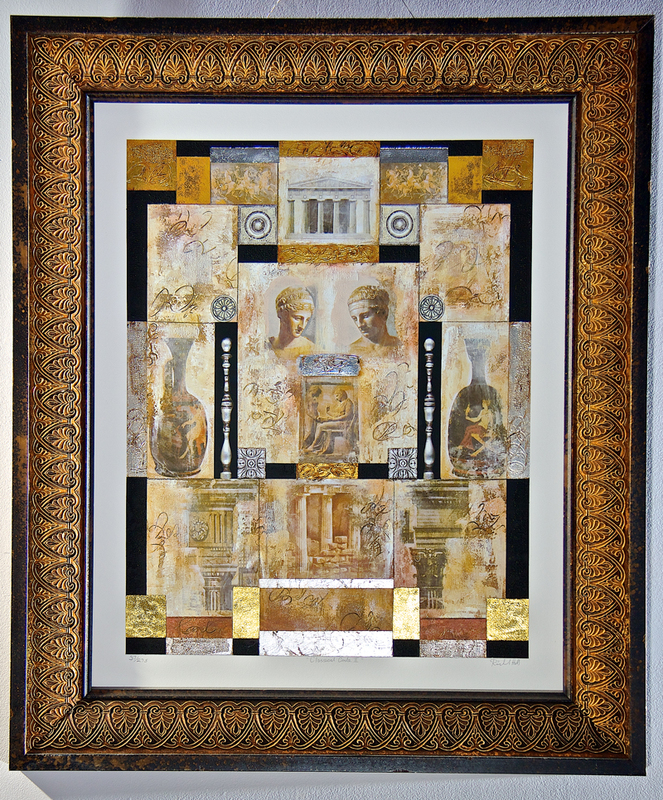 Classical Code I and II, measuring an impressive 34 1/4 wide by 45 1/2 high, are also custom framed with Museum glass, and are offered at $450 each or both for $800. Framed Art Sale, First Friday in the Village! 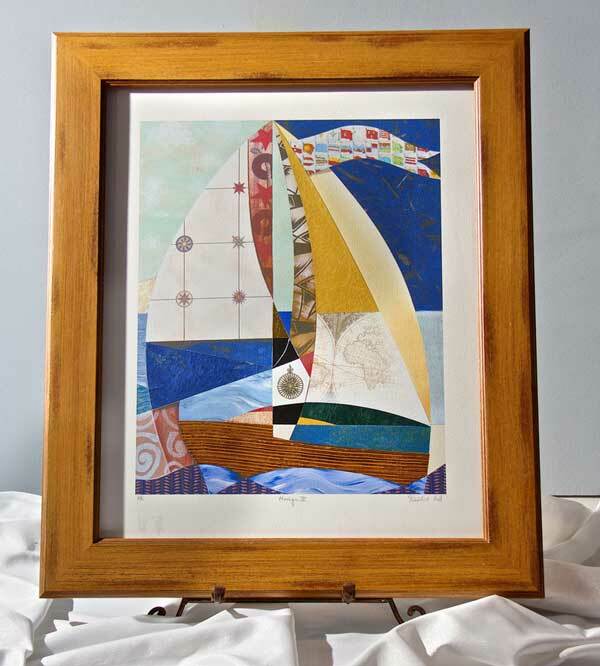 Save 20 to 70% during our annual Framed Art Sale! 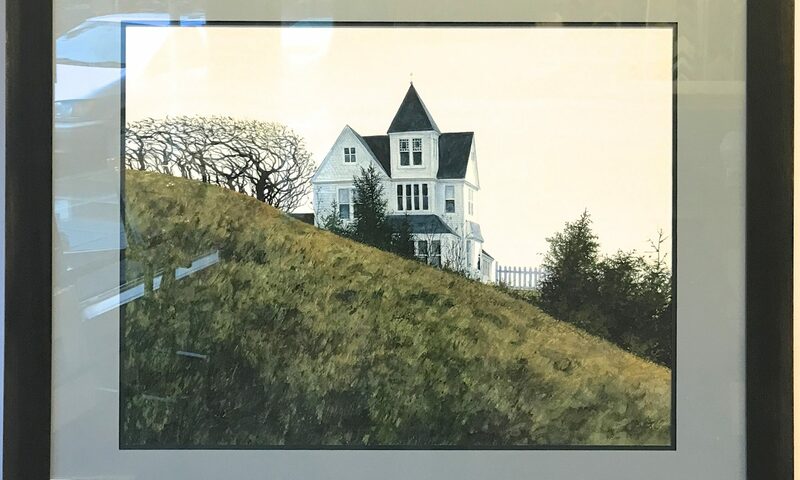 Framed original paintings, etchings and limited edition prints are priced to move all month long, and for the first time we’re including all framed works by Kaye Synoground! “New year, new art,” I always say! Is there a piece of art in the gallery you’ve been eyeing? Changing things up in the family room and need a fresh look? Or do you just love to browse art deals? Good news! 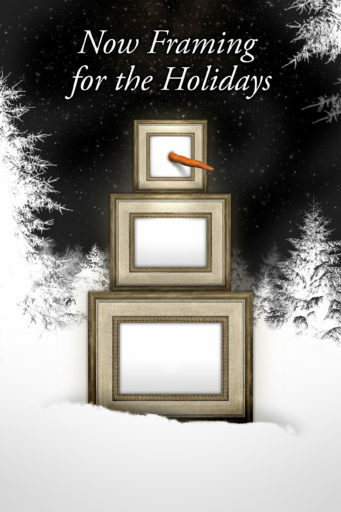 It’s that time of year when our complete framed art inventory is on display and priced at 20 to 70 percent off! Come in soon, while the selection is still good! 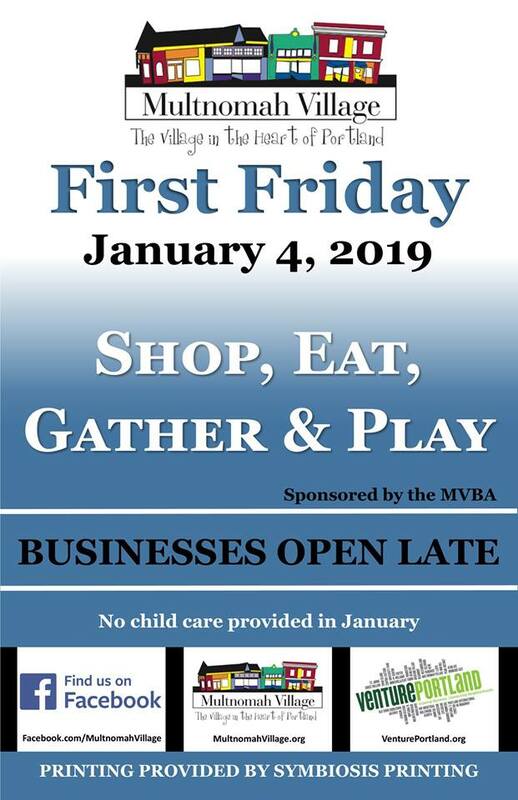 It’s the first First Friday of the year! We’re open late this Friday! As always, the gallery is free and open to the public at Village Frame & Gallery, 7808 SW Capitol Hwy, Portland, OR 97219. Yes, it’s that most very merry time of year! And Village Frame & Gallery has a special offer this year. 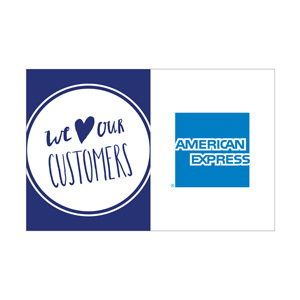 Simply bring in your golden ticket from another participating merchant and receive 10% off your new custom framing order through December 31st!. Purchase $30.00 in merchandise and we’ll give you another golden ticket! Discounts apply to new orders only. 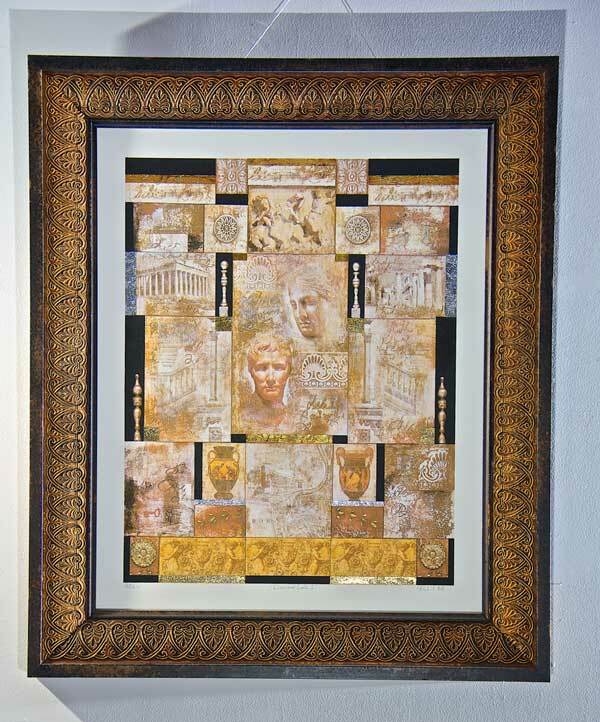 Now is the time to start framing projects for delivery by Christmas. To avoid a RUSH charge, bring your projects in by Wednesday, December 12th. We’ll be happy to help you bring your vision to life! Our regular hours, and through the holiday season, are Tuesday – Saturday, 10am to 6pm. 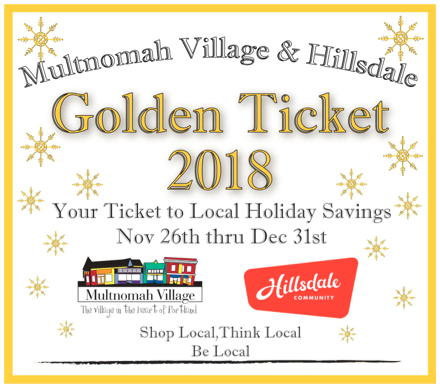 Village Frame and Gallery is located at 7808 SW Capitol Highway in the heart of Multnomah Village. Memorial Day Savings: 15% Off New Custom Framing! Headed out to the Memorial Day sales this weekend? 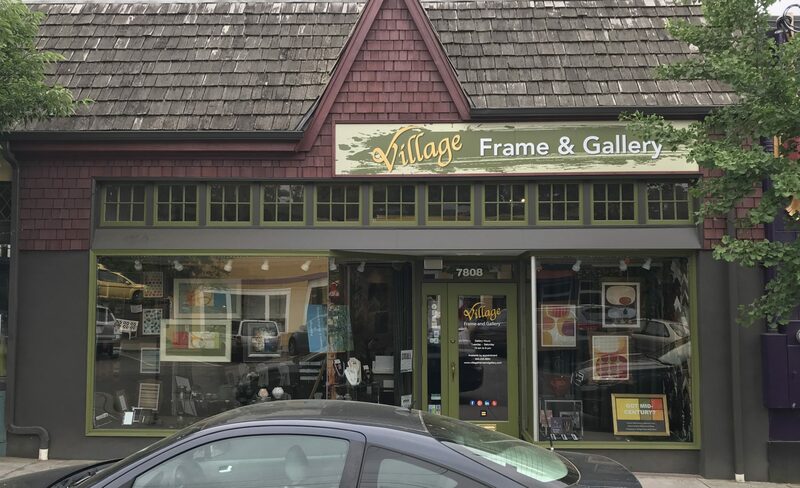 Grab those items you’ve been meaning to get framed and make your first stop Village Frame & Gallery in Multnomah Village. 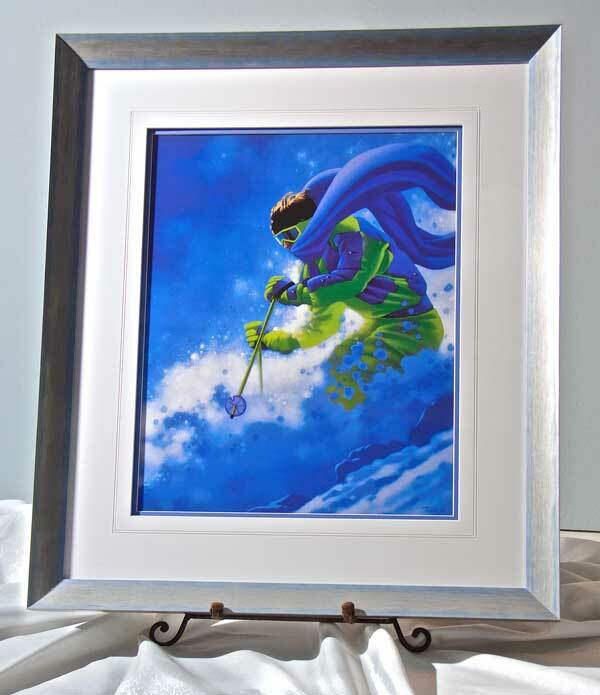 Save on Custom Framing Right Now, But Hurry! 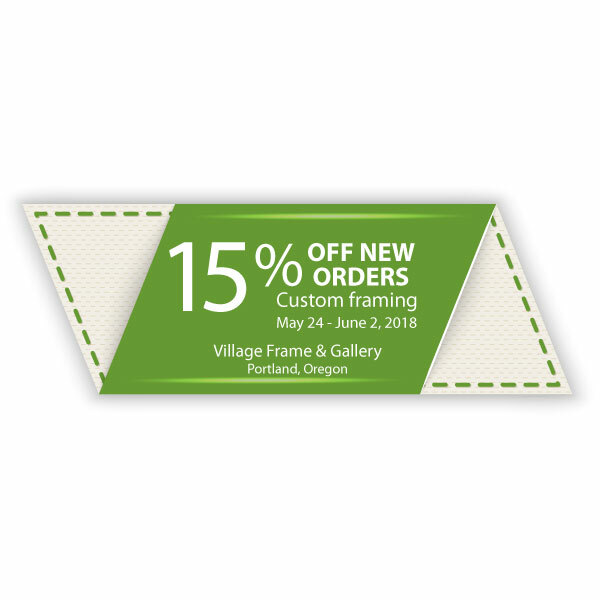 We’re offering 15% off new custom framing orders today through June 2nd only. Starting June 2nd, we will be open Tuesday through Friday, 10am to 6pm and Saturday, 10am to 4pm. Of course we are always happy to make appointments outside regular business hours! 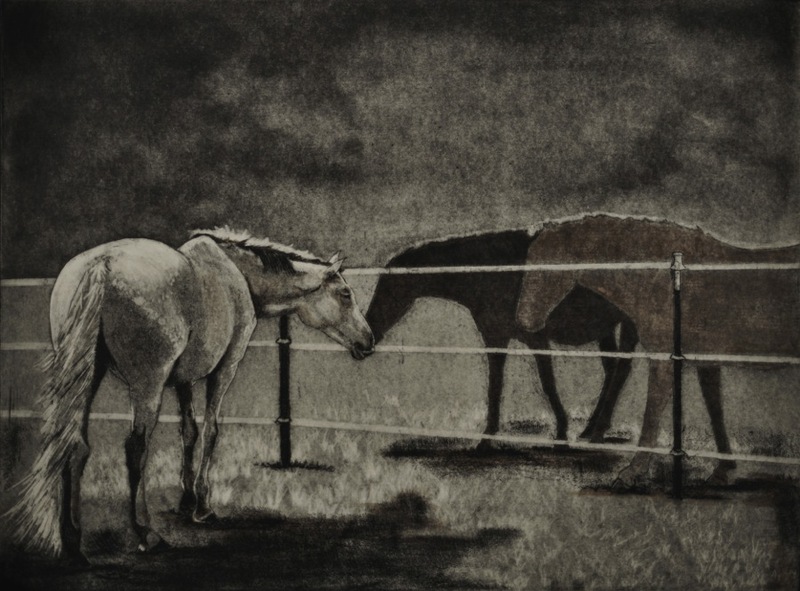 If you’ve ever wanted one of Madeline Janovec’s monotypes, now’s the time – before they’re gone. Madeline Janovec is a legend in the Portland art community. She taught hundreds of students, had her own gallery on SE Holgate, and worked tirelessly establish art exchanges and bring women’s art to Portland. After she passed away in 2011, younger artists Janovec had mentored packed her studio for an impromptu memorial. Her legacy will endure. 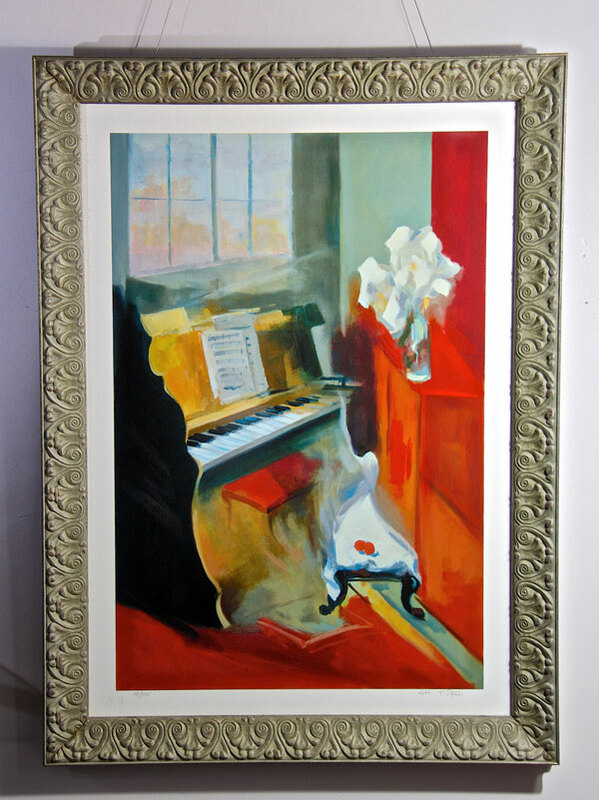 A prolific artist, Janovec left behind a number of monotype paintings. Right now, there are some very good opportunities to take one home. If you have been considering a Janovec piece, don’t wait. Stop in our gallery today or call to schedule a time to view Janovec’s remaining works and discuss prices.